We have recently renovated our sound front condo with all new furniture, cabinets, countertops, appliances and paint. Welcome to Cordgrass Bay! Here you will enter an environment created for pleasure and well being where your mind and body can relax. Luxuriate in a spacious great room which opens to a veranda overlooking a seemingly endless savanna and breathtaking sunsets. You are only a few easy steps away from the ocean where you can relax on the golden sands of uncrowded beaches or participate in extensive water sports and beach activities. A two minute drive will take you to a myriad of small shops and wonderful restaurants. Experience the restored elegance of the historic Wilmington waterfront or take a steamboat dinner cruise. At the end of the day, sip on a cocktail by the pool or engage in a game of tennis. 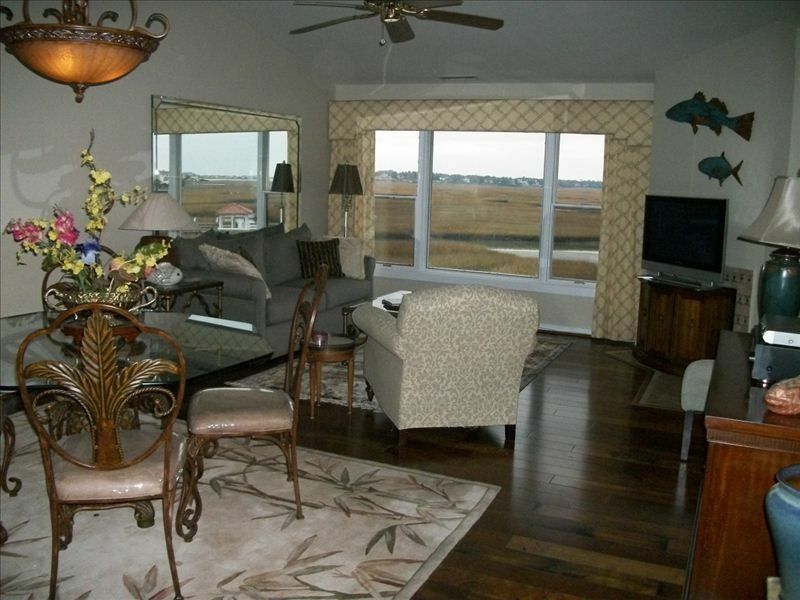 Cordgrass Bay is the perfect place for a family vacation or a romantic getaway. Hello from beautiful Wrightsville Beach! We are Don and Ali! Ali was born and raised right here at the beach. She spent her childhood summers puttering around the sound in her own little boat with pals. And not much has still loves to spent time on the water with family and friends. Ali enjoys exercise, healthy cooking and family. Don grew up in Philadelphia but headed south after time in the US Navy. He is an avid fisherman, which is the perfect hobby for someone living on the coast. Don and Ali both love spending time with their 8 grandchildren.